Online gambling in Scotland is 100% legal, which is great news if you’re a Scottish resident. From a gambling point of view, you’re treated as a UK resident. There is no discrimination between England, Scotland, Ireland and Wales. This means that you’re free to roam some of the very best in online casinos in Scotland. 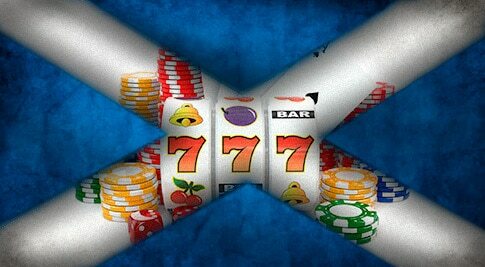 Did you know that there are reports that Scotland is the UK’s gambling capital? This, in large, could be purely down to the entire UK market being open to Scottish residents. Especially in terms of casino bonuses and an array of top online casinos that are available in Scotland, for Scottish residents. In this article, we’ll unveil what Casino Deal feels are the best sites for you to access from Scotland. 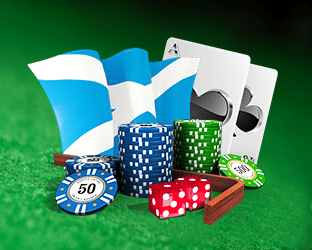 Whether the casino has a registered licence, any relevant welcome bonuses and further information you’ll need before you register with the top online casinos in Scotland. What Does Casino Deal Consider When Choosing the Top Scottish Casino Sites? What are the Best Online Casino Sites in Scotland? Trust – You have to be comfortable with the casino you’re intending on gambling with. What are the online reviews like? Does the casino feature across multiple casino review sites? What do online forums say? Is there a live chat function? And most importantly – we’ve said it before and we’ll say it again – do they hold a licence with the UKGC? Software provider – What software provider does the casino use? The best online casino sites will only use the most trustworthy and reliable gaming software providers. We’ll go into these in more detail shortly, but look out for decent return to player (RTP) rates and whether the games are mobile-friendly. Varied payment options – A common theme among the best Scottish casinos is that they’ll all have more than one option for deposits and withdrawals. Before making a withdrawal through one method, you’ll likely have to deposit first. Ensure that the casino doesn’t just give you the option of using your bank’s debit or credit card. To avoid additional fees and exchange rate variations, ensure that whichever method you use, they accept GBP as a currency. Promotions and bonuses – Every single casino worth your money will offer a casino welcome or first deposit bonus. Look out for wording such as, ‘Sign up and claim a no deposit bonus,’ or, ‘register today, deposit £50 and receive a 100% bonus.’ As we've previously mentioned, the worthwhile casinos will also have VIP and ongoing bonuses available to you. Only go with these casinos. Gambling within Scotland’s borders is a safe endeavour, ensuring you maintain your own online safety. While the gambling and data protection laws go to some lengths to ensure your gaming experience is safe, there are some steps you can take to make sure you are protected. UKGC Licence – Always ensure the casino you are registering and playing with holds a valid UK Gambling Commission (UKGC) licence. You’ll find this in the small print at the bottom of the website. If there’s nothing there, you can always contact them and request them to quote the licence number, if you feel the need to. Also, look out for licences held in Malta and Gibraltar for extra security. Alternate payment methods – Further on in this article you’ll find our selection of casinos that accept PayPal as an alternative payment method. Keep an eye out for Neteller and Skrill too. Sometimes, these are safer options than using your bank card details direct with the site. Only use recommended online casinos – The Scottish casinos will be available throughout the rest of the UK, and so you’ll likely have already heard of the major players that we feature on this page, which we consider to be regulated and safe. As an added layer of security, why not ask your friends and family who they’re registered with. Are any of your contacts VIPs already? Welcome bonuses and VIP bonuses – The best and highly respected casinos will have a VIP member section and will also offer valuable welcome and other bonus offers. Make sure you familiarise yourself with these offers before committing your funds. Some VIP memberships, such as the Grosvenor casino black card, have a section where you can see the VIP benefits. As well as sections where you can even apply to become a VIP member. This isn’t always the case with other casinos, so keep an eye out. What Does VIP High Roller Status Mean to Scottish Online Casino Players? First offer of upcoming features and benefits, for example if one of the software providers is releasing a new game or slot. Dedicated customer support manager. No more waiting on live chat for what seems like an eternity! Online casinos will value all of their members, but they will place more of an emphasis on their VIPs. There’s no uniform criteria that covers all casinos, but they do seem to follow a similar pattern for their requirements. For instance, VIP status won’t come overnight; it takes time and consistency with your gaming in order for your account to be flagged and catch management’s attention. If you log in once a month, stake the same amount and play the same slot for 10 mins before logging off, you’re not going to get noticed. Vary the slots and games you play on. Even if video poker is your all-time favourite, venture toward craps, baccarat, poker, blackjack and other popular table games too. Even dabble into the sportsbook (you’ll also find worthwhile bonuses there). The longer you’re a member with a casino, the greater the chance you’ll be considered for its VIP membership. Just like anything in life, the good things take dedication and consistency; and the rewards are usually worth it. Who wouldn’t turn down free cars, travel packages, tickets to VIP events, no deposit bonuses, free holidays and more? Never overlook the chance of being considered a VIP for an online casino. The great thing about gambling in Scotland is that you aren’t restricted to the sites you can register and gamble with. You’ll need to make sure that the bonuses and incentives available for the offers apply specifically to Scottish addresses (a quick check of the terms and conditions or a message to customer support will confirm this), but other than that, the Scottish regulation is pretty liberal when it comes to online gambling and gaming. We're aware that most Scottish residents are not too keen on being linked with Great Britain, the United Kingdom or even the UK Parliament. But the fact that gambling, especially online gambling, is encouraged (due to the lack of restrictions) and has structured licensing protocols in place. It is nothing but good for you due to the market being closely monitored and regulated by the UKGC. Consequently, all the wide range of slots, games and casinos being open to you. Since UK gambling businesses are taxed on their profits, the online casino industry is booming. Generating profitable yields, with the online industry generating around a third of the entire British gambling yield in 2017. As a natural result, this kind of high level of activity demands close scrutiny and regulation from the powers that be. So what legislation covers the gaming sector in Scotland? Let’s investigate further. Target and eliminate illegal and socially irresponsible gambling activities. Create and regulate the necessary gambling controls. This applies to casinos that are online as well as land-based and also covers bookmakers and all forms of gambling (lotteries, for example). The Act, in terms of specificity to Scotland, has provided Scottish Ministers with the ability to create regulations surrounding the fees for licences and permits in Scotland. As covered by the current legislation in Scotland, it is illegal to carry out gambling as an establishment without obtaining a licence from the UK Gambling Commission (UKGC). The fees for such a licence differs depending on the nature of the games, slots and tables being offered by the online casino. However, the Scottish policy is that the fees are centrally created by Scottish Ministers, which is not the case in England and Wales. Such legislation is clearly in place to control, centralise and police the gaming sector, preventing crime and establishing a safety net for the public. Rest assured that you, as a gambler, are protected by law from the adverse effects of gambling. Just make sure that the website you are looking to register with holds the necessary licence from the UKGC. Where possible, use a PayPal online casino. Why PayPal? It’s an incredibly secure method of depositing and withdrawing from a casino, as well as providing your personal banking information. Since PayPal dedicates itself as a money-processing intermediary, this means your banking information isn’t held by the casino. Instead, all they have access to is your PayPal information – one less step that the online fraudsters can hack. You are also covered by PayPal’s world class buyer protection, so any dispute is taken up by them, and you aren’t necessarily just at the mercy of the casino and the delays in banks processing payments and withdrawals. For VIPs and other gamblers who need swift deposits and fast access to any winnings, PayPal sticks its head above everyone else by allowing for instant withdrawals. Whereas withdrawing to your bank account can take anything up to a week; in some cases it can be even more. Even then you might have to provide further identification – frustrating to say the least. As we’ve just touched on, the top casinos will work with the very best when it comes to software, but it’s important that you know who these providers are and why they’re consider to be the best. 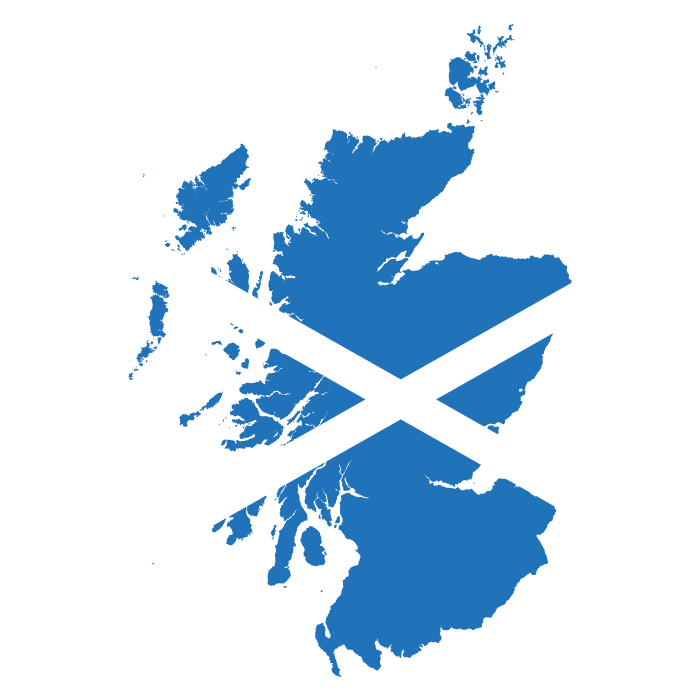 The software market for iGaming isn’t hugely competitive, which does mean that there are a few that have really grabbed the online casino market in Scotland, and some of the best Scotland poker sites feature the below providers. NetEnt. There’s a very strong argument to claim NetEnt as the best casino game provider in Scotland. They’re forward-thinking and hold licences in the best gambling markets on the planet. You might have heard of some of their popular slots, such as Blood Suckers 2, Gonzo’s Quest and Starburst. Microgaming are one of the very first online casino providers in Scotland to hit the market, and they’re still going strong. 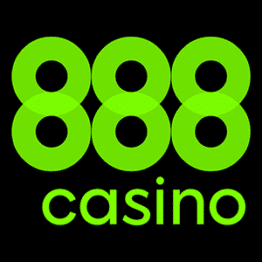 Since their inception, they’ve been recognised across many of the more popular casinos, providing fun and rewarding slots, with bonus, jackpot and free spin features. Some of their more popular games include Immortal Romance, High Society and Titans of the Sun. Consider Microgaming as providing highly credible online gaming platforms. Playtech are fortunate enough to score a deal with one of the greatest jockeys of all time, AP McCoy, for their new slot ‘AP McCoy: Sporting Legends.’ They’re well established in the online gaming world, being a FTSE 250 company and being passionate about the success of the industry. Playing online slots at your leisure, from your PC, mobile or tablet, brings a whole level of enjoyment to online gambling. Some of the most profitable Scottish VIPs prefer to play on live tables rather than physically going into casinos. The croupiers and opponents are real and they don’t have to leave the comfort of their own home. The top online casinos in Scotland will ensure that their welcome bonus and no deposit bonus are enticing and valuable to their customers. The casinos that we’ve featured in our review all possess licences with the UK Gambling Commission and boast offers with an acceptable amount of wagering on slots and tables that are popular and of a high quality. 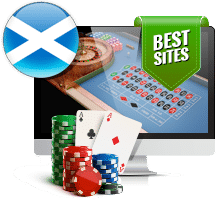 That isn’t to say that all online casino bonuses are worth your time and effort, so ensure that you read the terms and conditions before deciding on whether to register and deposit with the best online casinos in Scotland that we’ve featured on this page. Above all else, remember to enjoy your online gambling. Gamble Responsibly. And have fun!